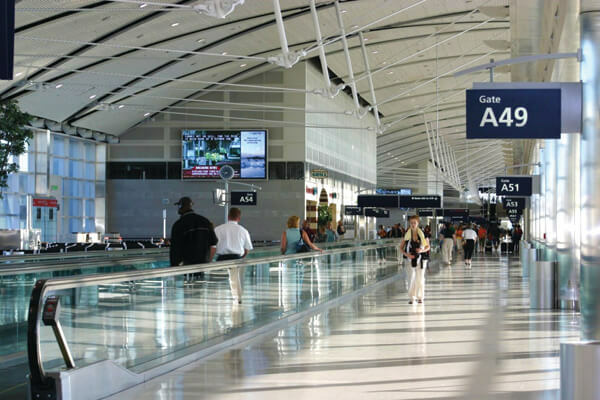 The AGI team contracted with Hunt Construction Group, an international construction services firm, for their terminal expansion project at Detroit Metropolitan Wayne County Airport in Romulus, Michigan. Our teams have executed numerous arena and transit projects together, and our relationship spans several decades of successful, boundary-pushing projects. 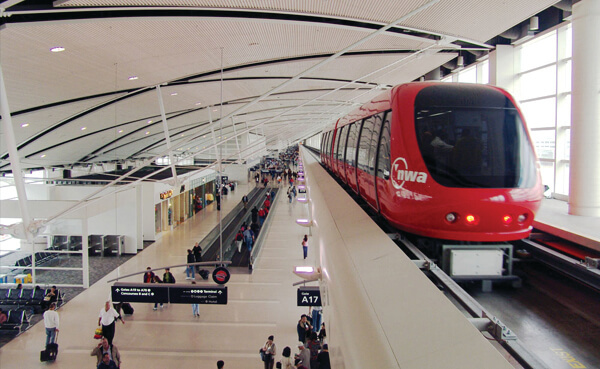 We were excited to add the Detroit Airport project to the list. The plan for expansion included open, high-ceilings—a significant design and field-installation problem that our team would need to flex creative muscles to solve. Our next challenge was in the electronic relays that show real-time position of the passenger trains on various kiosk signs—those would need significant research and design attention. The most pressing challenge of all, though, was that all of the work’s fabrication and installation had to be accomplished using local, union forces in strict compliance with safety and security guidelines. 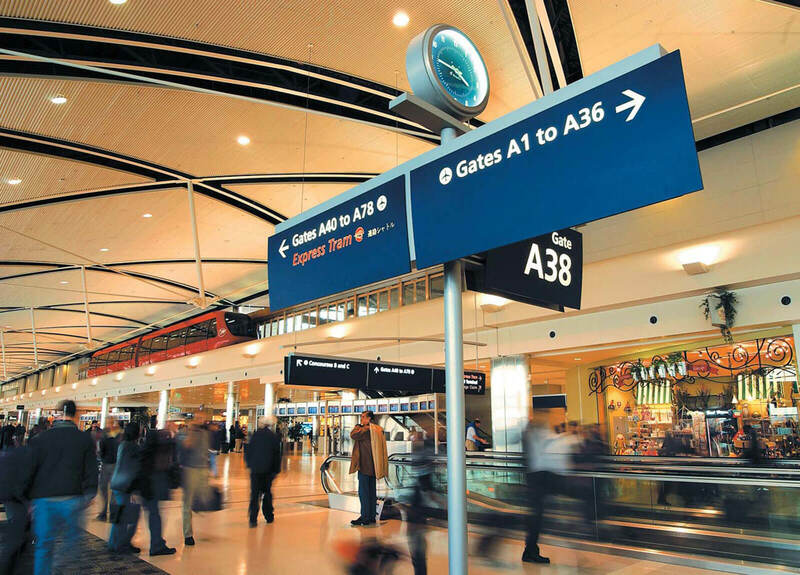 Our engineers teamed up with the airport’s design team to develop safe and effective methods for attaching the overhead and cantilevered signs, while a separate team got to work researching and designing a system of relays to show the real-time train locations on the digital kiosks. Next, our field managers leveraged our network of local installation partners to assemble a team that would hold up to the local, union labor requirements—and still deliver the level of service expected for a project this big. From there, our field managers continued with the complicated work of coordinating installation efforts around all the other activities at the airport—all while carefully documenting our safety, security and labor participation compliance. All told, we installed over 400 overhead and cantilevered signs, along with digital kiosks that display real-time position of passenger trains.